How To set up a IIS server on computer? 1. First, goto start > control panel > add or remove programs. 2. 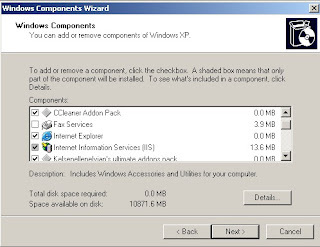 Select windows components wizard and then click on the "internet Information Services(IIS) to install it. 3. Click on next and then it will require you to insert windows CD in order to install it on your computer. 4. Finally, you will see an extra icon on your administrative tools from control panel there. The icon will look something like. 5. 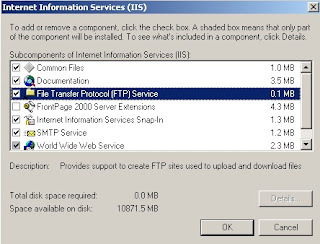 Then, your IIS (Internet Information services) like ftp and http can be used already.